Plasma probes are well established diagnostic tools. They are not complicated, relatively easy to construct and to handle. The easiest and fastest accessible parameter is their floating potential. However, the floating potential of a cold probe is not very significant. Much more important and relevant is the plasma potential. But in most types of plasmas, consisting mainly of electrons and only positive ions, the floating potential is more negative than the plasma potential by a factor proportional to the electron temperature. Obviously this is due to the much higher mobility of the electrons. We present a review on probes whose floating potential is close to or ideally equal to the plasma potential. Such probes we name Plasma Potential Probes (PPP) and they can either be Electron Emissive Probes (EEP) or so-called Electron Screening Probes (EPS). These probes make it possible to measure the plasma potential directly and thus with high temporal resolution. An EEP compensates the plasma electron current by an electron emission current from the probe into the plasma, thereby rendering the current-voltage characteristic symmetric with respect to the plasma potential and shifting the floating potential towards the plasma potential. Only the simplest case of an EEP floating exactly on the plasma potential is discussed here in which case no sheath is present around the probe. An ESP, principally operable only in strong magnetic fields, screens off most of the plasma electron current from the probe collector, taking advantage of the fact that the gyro radius of electrons is usually much smaller than that of the ions. Also in this case we obtain a symmetric current-voltage characteristic and a shift of the probe’s floating potential towards the plasma potential. 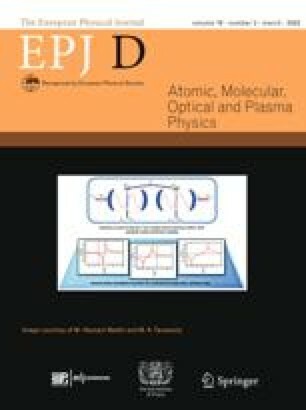 We have developed strong and robust EEPs and two types of ESPs, called BUnker Probes (BUP), for the use in the Scrape-Off Layer (SOL) of Medium-Size Tokamaks (MST), and other types of strongly magnetized hot plasmas. These probes are presented in detail.